Every year or so, I’ll notice a fight breaking out in the Jewish press regarding whether or not we are winning or losing the fight against BDS. Most recently, the UK’s columnist Liron Velleman and US Commentary contributor Jonathan Tobin talked about the decrease in Israel Apartheid Week activities in the US and abroad, as well as the lack of success BDS has had in slowing Israel’s rapidly expanding economy and growing diplomatic ties across the world (including the Arab world). This was met with harsh rebuke by Jack Saltzberg, founder of The Israel Group, who pointed out that BDS is unconcerned with causing Israel actual economic harm, but is instead embarked on a project to turn the next generation against the Jewish state through propaganda facilitated by boycott and divestment campaigns. Both sides in this debate rely mostly on anecdotal information, although the accumulation of anecdotes (such as number of Apartheid Week activities or student government divestment votes – or votes won or lost) can indicate trends. Given how much of my earlier work was based on embedding the BDSFail meme into discussion of this topic, I have seen these same arguments again and again (with this piece contrasting various measures of Israel’s success with the failures of BDS tending to draw the most criticism from Israel supporters fearful that a “BDS is a failure” storyline might cause us to miss what the boycotters are actually up to). While I have tremendous respect for all of these writers and the arguments they are making, they are similar to previous sides taken in similar debates in that they focus too narrowly on a tactic (BDS) without analyzing the wider framework into which that tactic fits. 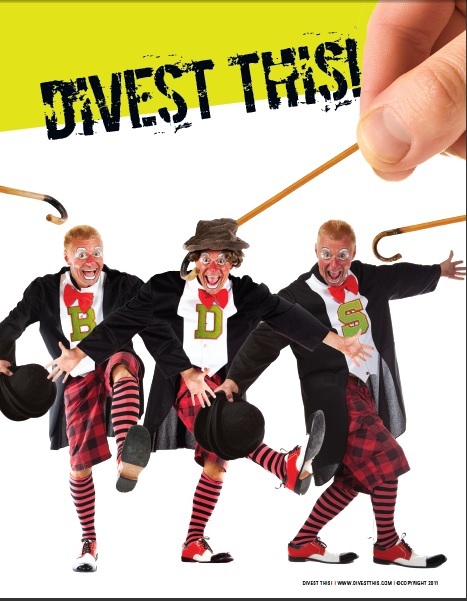 Before BDS (a brand that came into vogue in the mid-2000s), there was simply “divestment” (the name of campaigns that started with the 2001 “anti-racism” conference in Durban). And before divestment there were campaigns to get the US to end its financial support for the Jewish state. Before those, there were calls to get schools, churches and governments to pass motions condemning Israel for this or that alleged crime. Woven into all these projects was the strategic goal of branding Israel as the successor to Apartheid South Africa. This strategic goal was and is part of a wider project. For if Israel = Apartheid in the minds of enough people, then its demise would be considered not sad and evil, but wonderful and good. And if the ultimate goal of those pushing this propaganda campaign is to see the Jewish state destroyed (which it is), then BDS can be seen as the propaganda arm of a wider military strategy, with militaries and terror groups allied with Israel’s national enemies assigned the role of carrying out the actual violence for which anti-Israel propaganda provides cover. What this means is that we cannot judge the success or failure of anti-Israel movements by looking at just this student council vote or that state anti-BDS legislation (or even the number of them increasing or decreasing over time). For anti-Israel agitation has been with us since before the BDS acronym was invented, and will continue – organized around different tactics – if the Israel haters drop boycott and divestment tactics altogether. While part of the reason behind a slow-down in BDS activity can be chalked up to our side’s successful efforts to organize resistance to it, there are also geopolitical reasons for why we find ourselves where we are today. Most notably, the chaos in the Arab world and growing understanding by Sunni nations of the threat of Iran means traditional supporters of every aspect of the global anti-Israel crusade (such as Saudi Arabia) are losing interest in both the Palestinians and those that support them. Also, whatever you think about chaotic US politics, there is clearly a difference in how the current administration treats Israel and the Middle East vs. the last occupant of the White House. This means we need to determine if the siege warfare Israel’s strategy for survival is based on is working or not. If it is, then we should continue to support anything that makes Israel’s position stronger while weakening her enemies. If it’s not, then we should find out where the cracks are in the Jewish nation’s defenses and put our effort into patching them and shoring up protective barriers in hope that those who began this war (Israel’s enemies – the only ones that can end it) eventually come to their senses.